Do you need a telephone in another room or need to connect your Sky box? We can efficiently and tidily run an extension, or several extensions, to suitable points throughout your home. Is there something wrong with your phone line? Is it noisy, not working? Our engineer will visit your home to diagnose and resolve the issue. If you don't like where your telephone point is or need it moved because it is in the way, we can neatly relocate the point to wherever suitable. Are your existing cables/wiring untidy? We can tidy all existing cabling. Slow broadband or broadband issues? We have the experience and the equipment to test, track and resolve problems. If you are setting up a new office, need an extra workstation or upgrading your current system, we'll come and meet with you to advise the best system to suit your needs. Eclipse is run by an ex BT telephone engineer with over 10 years experience. We provide a competitively priced service to residential customers and local businesses, specialising in fixing telephone line faults, installing new extensions, rewiring and optimising broadband performance. We specialise in extending the WI-Fi in your home and telephone/data links to garden offices. 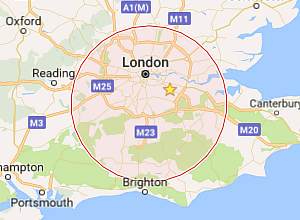 Based in Purley, we serve the whole of Surrey and London, including Banstead, Epsom, Sutton, Kingston, and Croydon. Whether you're with BT, Sky, Virgin or any other telecoms provider, we offer all the telephone installation and repair services at a fraction of the cost. When you call us, you'll get straight through to the engineer who will deal with your fault or installation, so you'll avoid the often infuriating experience of having to deal with a call centre. 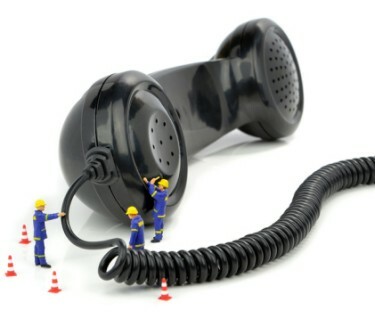 Whatever the size of job required, from a single telephone extension to a full rewire, we offer very reasonable rates and pride ourselves on providing an excellent level of care and customer satisfaction, a flexible approach to working and a clean and tidy finish. Call us now on 07843 278 294 or complete our email enquiry form. All our work is carried out with the minimum of fuss and we will make an appointment to see you as quickly as possible at a time that suits you.